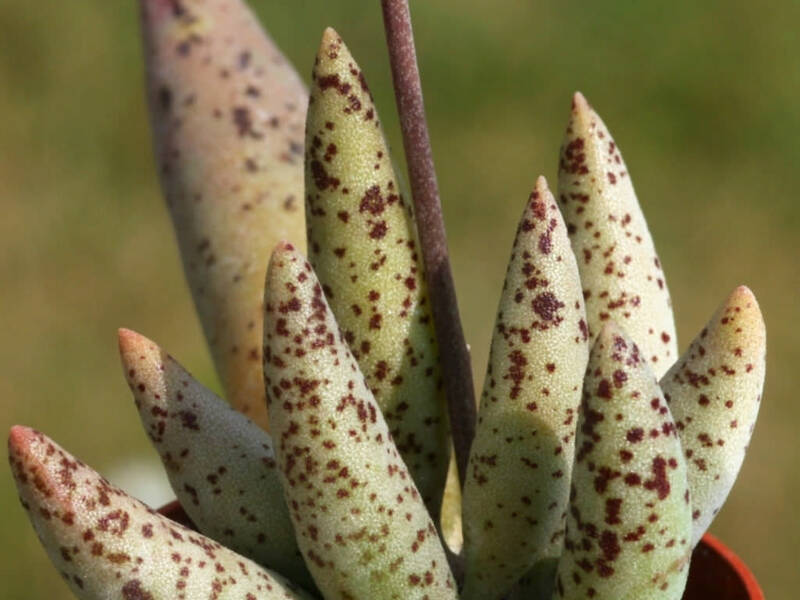 Adromischns filicaulis is a very slow growing succulent plant, usually with shiny grey-green leaves and rust colored spots and margins. The stems are erect or decumbent, up to 14 inches (35 cm) long and up to 0.5 inch (1.2 cm) across, rarely with stilt adventitious roots. 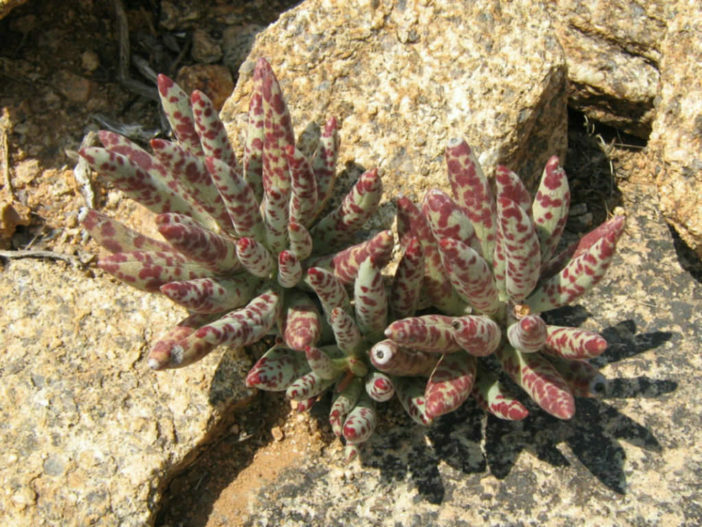 The leaves are up to 3.2 inches (8 cm) long and up to 0.6 inch (1.5 cm) wide. 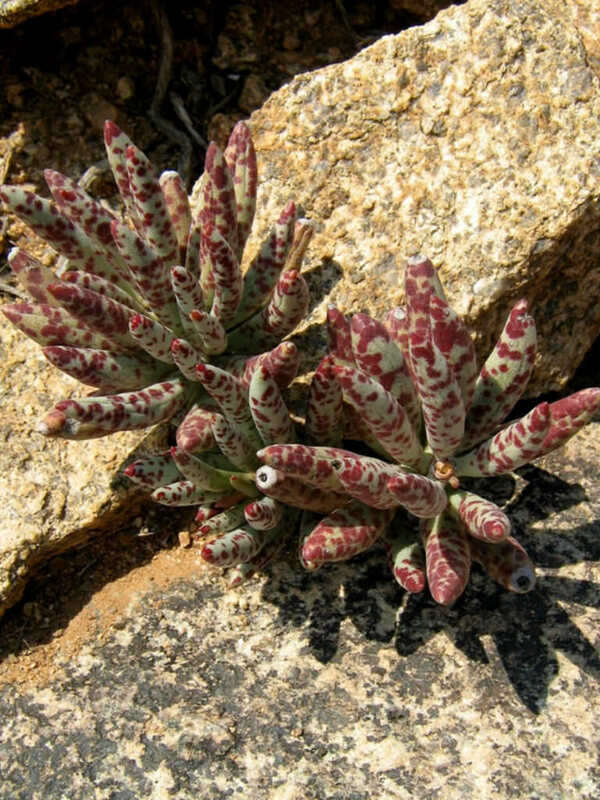 The flowering spike is up to 14 inches (35 cm) tall. 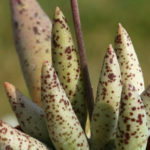 Flowers are yellowish green, up to 0.5 inch (1.3 cm) long, the corolla tube is yellowish-green, tinged with pink, lobes are broadly triangular, white or pale yellow, tinged from pink to deep red. 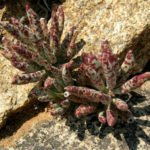 Native to South Africa (Namaqualand, Sandveld).